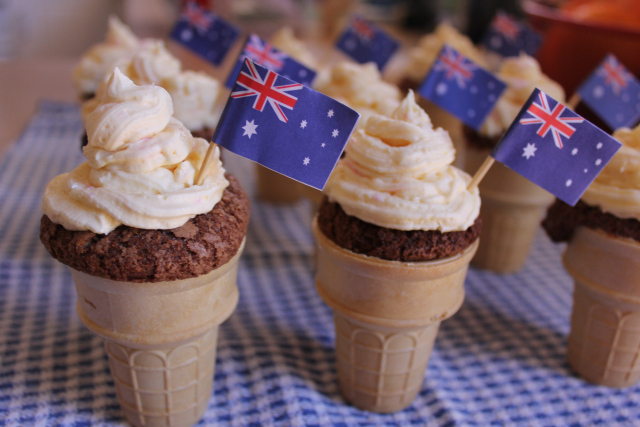 Remember last year how made these Cupcakes in Ice Cream Cones for Australia Day? 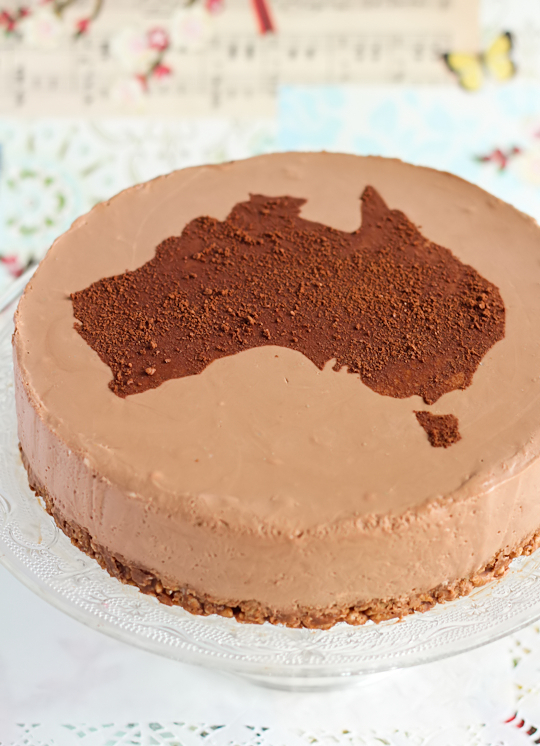 Well this year I’ve made the Milo Cheesecake with Chocolate Crackle Crust from Raspberri Cupcakes and as you can imagine I am pretty bloody excited to try it. I haven’t stenciled the shape of Australia to the top yet so fingers crossed I don’t screw it up. Which reminds me: must make a stencil. What are you doing for Australia Day? I’m heading down to the beach with friends so I imagine we’ll have the barbie cranked, the BBQ Shapes out and a beer in hand as we argue about the order of Triple J’s hottest 100. Not really, I’ve spent about $30 on cheese and $70 on wine so there’s no chance I’ll be snacking on BBQ shapes and drinking beer. Big shout out to my Mum, who celebrates 30 years in Australia on January 26. 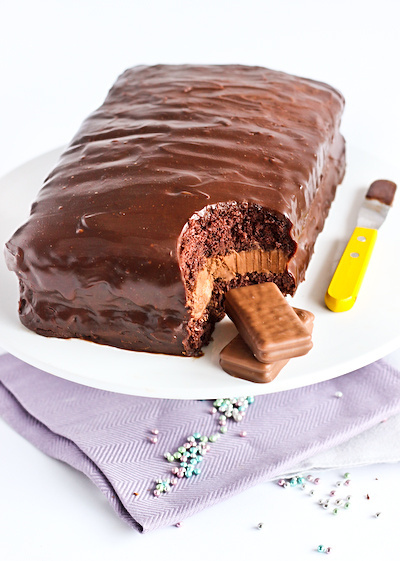 This entry was posted in Food and tagged Australia Day, Food, Recipe. Bookmark the permalink. Flirby & Bec: 1. Dad: 0.